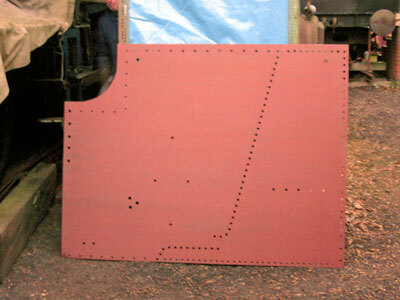 In 2007 a new committee was formed, with renewed enthusiasm and with the sole aim of driving the project forward and getting 4150 in steam for use on the Severn Valley Railway. There are 7 committee members, who can be re-elected (or not!) at the AGM usually held at Kidderminster, to which all shareholders are invited. 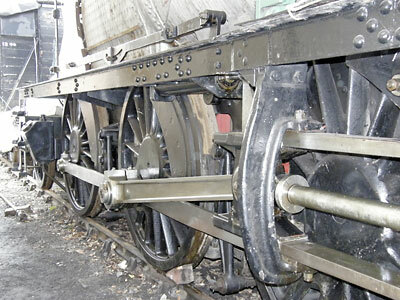 One of the first things the committee did was to purchase a secure container for the storage of loco parts not yet fitted to the loco, which took the pressure off the Fund's vulnerable and heavily-overloaded Fruit D Van. 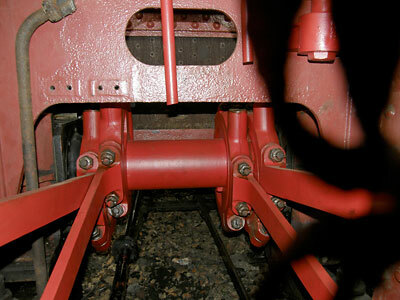 Another big improvement to the working environment was a protective 'tunnel' covering the loco, enabling work to continue in bad weather and protecting the engine from the worst of the elements. 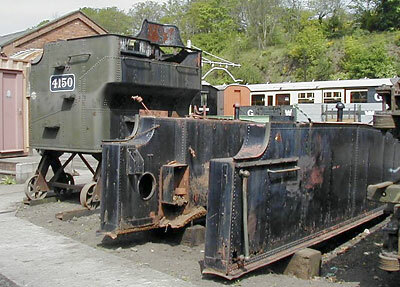 For this, we are indebted to a team of volunteers from the SVR's Bewdley Carriage and Wagon Department, who transported the structure from Kidderminster and re-erected it over 4150 in the sidings at Bewdley. The Fund newsletter has been re-established, with a commitment to publish at least one per year, along with annual accounts and the AGM notification. 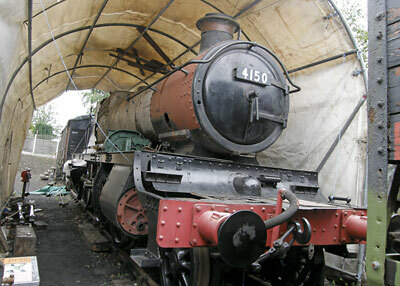 We were very fortunate to have the annual Severn Valley Railway Association raffle allocated to 4150 in 2008; a record net total of almost £16,000 was raised, and this has been ring-fenced for spending on the boiler when the time comes. 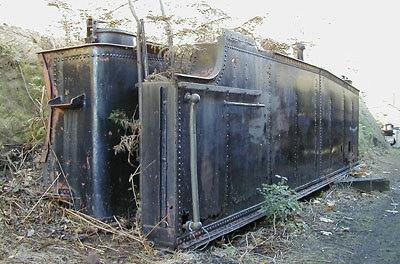 The boiler remains the major task to be undertaken before 4150 can return to steam, but an inspection by SVR Boilersmiths has confirmed that it is in remarkably good condition - particularly so the inner copper firebox, which was renewed at Swindon not long before the loco was withdrawn from service. 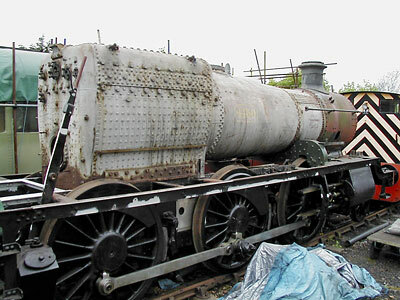 Even so, a substantial sum will have to be spent on the boiler, and some serious fundraising will be necessary to finance it. 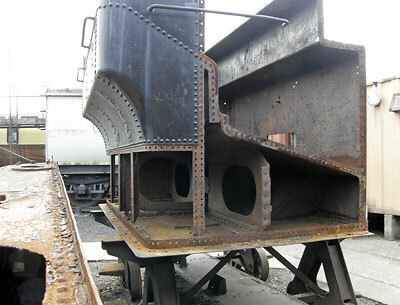 In the meantime, the approach is to complete the other outstanding work on the loco - new bunker and tanks, plus pipework, cladding and cab fittings - in-house, buying in raw materials where necessary but using a minimum of contract work, in order to conserve funds wherever possible for the boiler.